A vast variety of projects experience, fearless approach and an aggressive attitude propels this small firm. Founded in a traditional studio concept, STUDIO ARCHITECTS offers services for a variety of complex projects, including retail / commercial, master planning, tenant improvements, industrial, residential and schools. Serving domestic and South American clients in the South Western United States since 1993, THE STUDIO GROUP Inc. parented this unique group of professionals dedicated to well rounded solutions in design and its implementations. 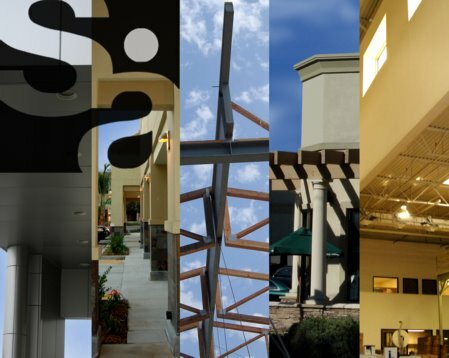 Licensed in multiple western states, STUDIO ARCHITECTS offers National Retailers the opportunity of using an established team to fulfill their vision from state to state. Quality matters to us, we have built our reputation on the successful realization of our clients' expectations for inclusiveness of design with precision creativity, and a strong regard for schedule and construction budget. Each project is followed from beginning to end by the principal of the firm who is always available upon request. STUDIO ARCHITECTS emphasizes the team approach developer and owner / occupant, architect, consultants, and contractor – to interact throughout all phases of the project. We provide our clients the benefit of experienced architects and engineers, producing new ideas and carefully prepared documents, at reasonable rates. STUDIO ARCHITECTS has a vast portfolio of completed residential projects throughout the Southern California region which includes oceanfront homes, custom hillside estates, cottages, high-end multi-family housing, Ranches, residential interiors, and single family remodels. Creativity and a clear vision of the owner’s wishes following with attention to detail, plus a thorough knowledge of the construction industry and the contractual procedures surrounding it, make for a worry free construction phase. Our goal is always to create unique and finely detailed living spaces, embracing comfort and quality of construction. We are at your service to discuss new ideas and ventures. Please call for an informal evaluation of your projects needs. We are located in the heart the O.C. in Newport Beach Next to John Wayne Airport perfect for your convenience.